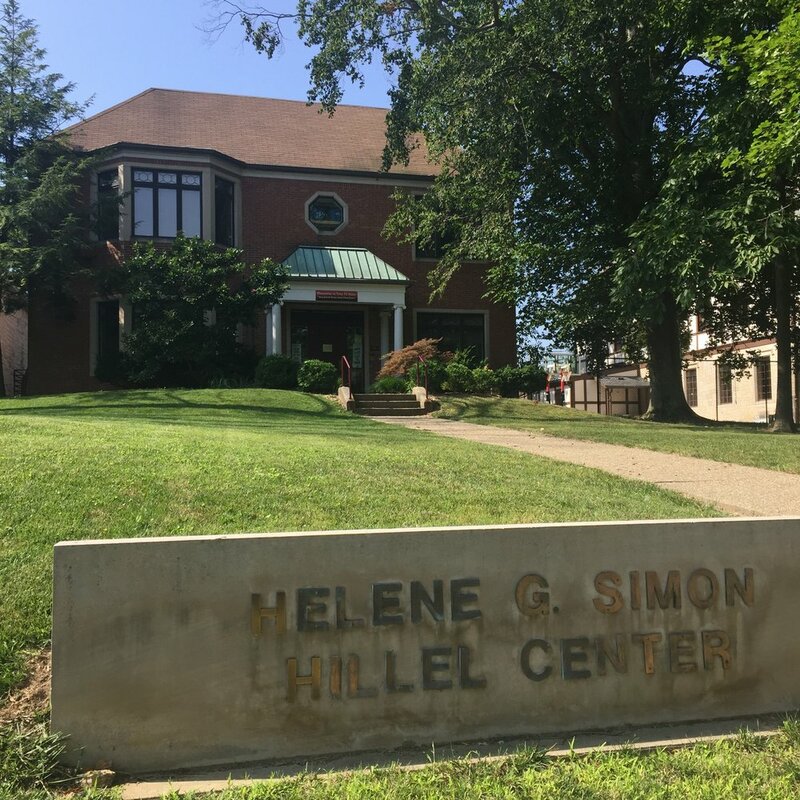 The Helene G. Simon Hillel Center is one of the premier Hillel Centers in the United States. Designed to feel like a home, the Hillel Center serves as the Jewish “home away from home” for over 4,000 Jewish students on the IU campus. Feel free to take a minute to read about our facilities. Hillel's welcoming atmosphere starts at the front door. Our living room sits adjacent to the building's entrance, and is filled with ample comfortable seating options. Take a load off, study for awhile, and enjoy the complimentary coffee. The center of any household is the kitchen. At Hillel, we have two kosher kitchens (dairy and meat), where we prepare Shabbat and holiday meals, including our Kosher for Passover meal plan, and gluten-free and vegetarian options for all meals. The best part about eating at Hillel is that the leftovers are always free. Our open-fridge policy means you just need to stop by with an appetite, and help yourself! Hillel's kosher dining hall is more than just a space to gather for Shabbat Dinner. 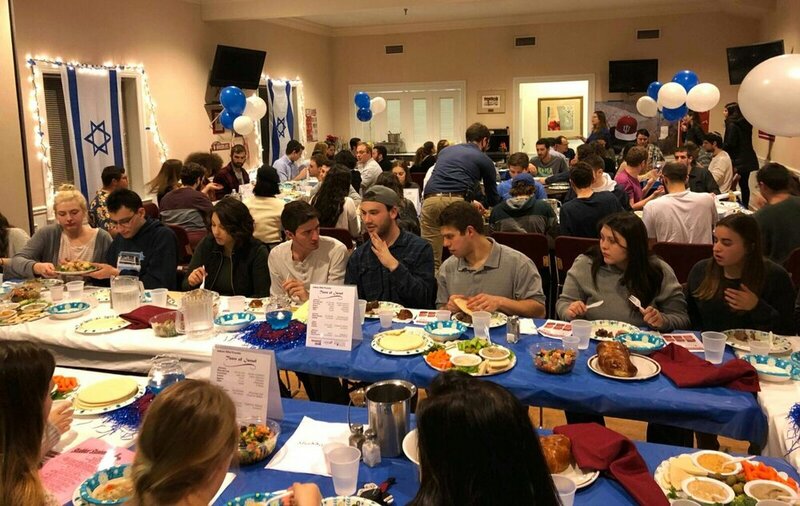 Throughout the week, the dining hall is in constant use by students taking advantage of our open-fridge policy, Hillel's X170 courses, and various student groups. With a moveable dividing wall, the dining hall is multi-purpose. It also houses our multi-media center, which is utilized by Hillel's Third St. Sports Grille, among several other programs, for its six big-screen TVs. Our largest gathering space, Hillel's sanctuary provides a room for Shabbat services and more. The sanctuary serves Hillel's larger X170 classes, guest speakers, and special programs. A versatile space, the sanctuary's main purpose is for prayer, and the room's stained-glass windows and permanent ark bring wholeness to our weekly Shabbat services. Because Hillel serves a variety of Jewish observances, the chapel provides a second dedicated prayer space for Shabbat services. During the week, the chapel also serves as a classroom, study space, and, thanks to the comfy couch, a quiet place for the occasional student to nap. IU Hillel has a collection of over a thousand Jewish texts and literature, and a number of facilities dedicated to enhancing your learning experience. Our library's extensive Judaic collection is utilized by Jewish Studies department students, and open to all. The library, located in the basement, is always a quiet place to study alone, or in small groups, and our upstairs Student Office conference room is the perfect space for big projects.